Smartphone use while driving has led to an increase in the number of car accidents as well as an increase in auto insurance rates. Smartphones are one of the biggest gifts of technology. While there are many benefits of smartphone technology, there also seem to be a number of negatives – the first and most important being the distraction it causes. 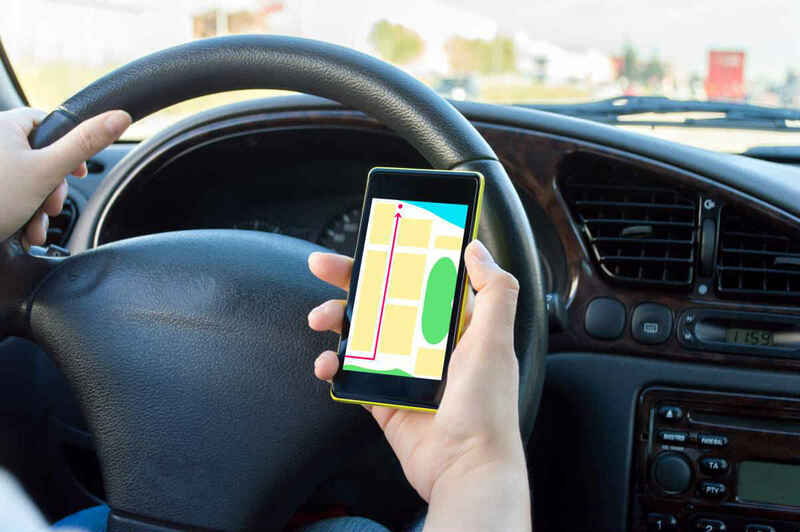 People do not abstain from using their smartphones even while driving, and this has led to a significant increase in the number of car accidents. The increase in the number of distracted driving accidents due to the use of cell phones is also believed to be the reason behind the rise in insurance rates all over the country after years of decline. A study conducted by State Farm revealed that about 30% of drivers admit to texting while driving. Another 30% admitted to surfing the internet while behind the wheel. These numbers show an alarming increase in number from previous levels. In addition, more smartphone features like email, music, social media apps, entertainment apps, increasingly interactive mapping and GPS apps, etc. add to the dangers of creating more distracted drivers on the road. There has been a reverse in the declining accident rates and accident related injuries in the past two consecutive years. Moreover, there has been an 8% increase in vehicle related deaths in the past year. This increase in accident injuries and fatalities are further having a cascading effect on healthcare costs, accident claims, and in turn, car insurance premiums. The concern lies in the fact that with higher healthcare costs, accident victims are filing higher accident claims. Insurance companies are now facing pressure from Wall Street investors to increase insurance rates. This increase can be linked to the fact that a decade ago insurance companies would pay 95 cents a claim for every $1 in premium revenue; they are now paying $1.05 for every $1 in premium. From a business perspective, it puts insurance companies at a loss. The option they are left with is to increase premiums. According to the Department of Labour, the insurance rates have reached the highest in about 13 years. Another problem that surfaces with these increasing insurance rates is the probability of insurance owners being priced out of their insurance. State governments have started devising measures to counter the possibility of insurance owners giving up their insurance. For example, in California, the government is considering introducing a low-cost insurance option for those who have low income and cannot afford to pay premiums of commercial automobile insurance. While there is a dangerous relationship between smartphone use and accident frequency, there is also a rise in accidents ‘without skid marks.’ This clearly indicates that drivers in such crashes have had no time to react – rather have probably been so distracted that they had no inclination of the danger looming ahead. If you or a loved one have been injured in an auto accident due to another driver’s negligence, contact The Hoffmann Law Firm, L.L.C. by calling (314) 361-4242. For more than 20 years we have been helping St. Louis car crash victims receive the benefits they need and deserve.